This post is a little bit late, but I wanted to share my thoughts about this past Eid last week. Muslims celebrate two holidays. Eid ul Fitr which celebrates the end of Ramadan which is a month of devotion and fasting. And we celebrate Eid ul Adha which honors the sacrifice that Ibrahim (as) was prepared to make. How many of us would have been willing to sacrifice a child? As a parent, I find it easy to tell my daughter to do something, but it’s a bit more challenging to sit there and explain why. But in the Quran, it clearly shows that these two Prophets shared a relationship of mutual admiration and trust. I can only hope that I can aspire to a certain degree of this, but I do know that this particular Eid will always remind me that parenting is not just about ordering your child to do what’s best, but having a real relationship based on mutual trust and affection iA. I hope you all had a lovely Eid! And please make dua for all of us. I pray that all the Hajjis making their way back have their accepted iA. Stay tuned for fashion tips for curvy hijabis coming soon iA! As a mom who works during the workweek, it’s hard to think of easy halal breakfast recipes. We are always on the go! I told you all how I am trying to stay fit and healthy, so I have to start making a habit of eating a good breakfast. I always skip breakfast which is so bad for you since it slows your metabolism down. Since I started eating breakfast, I noticed that I am more of a morning person now too Alh. Since my daughter can touch the front range of my stove now, I like breakfasts that don’t require a stove. My reflexes in the morning are terrible, so anything I can do to avoid a mishap is welcome. 2) Take out of toaster and spread on cream cheese spread. I know some readers may find this recipe sort of silly, but for breakfast newbies like me this quick fix was perfect! I just felt like sharing. 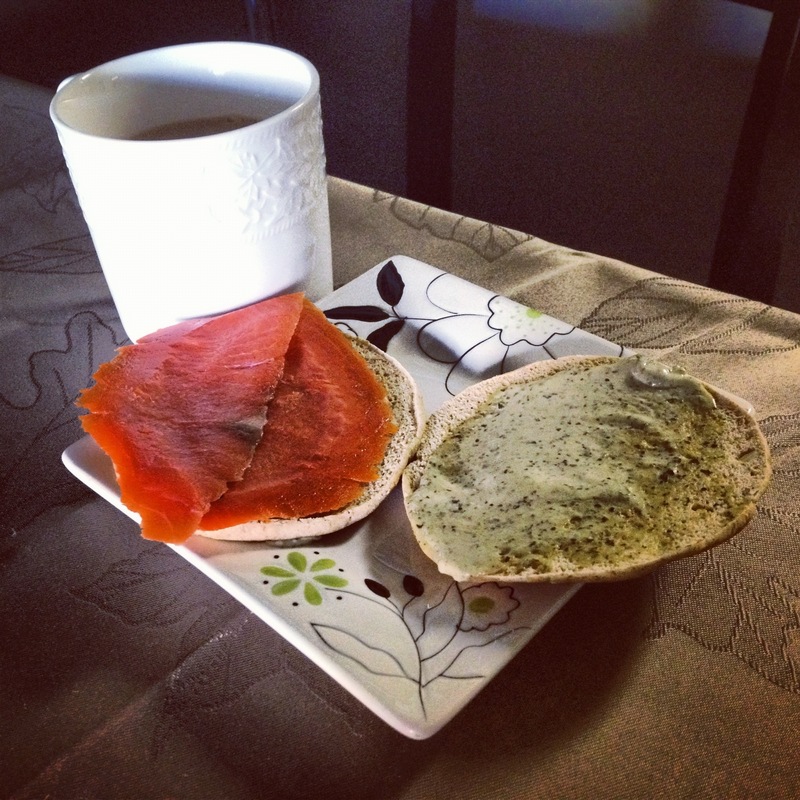 What are some of your breakfast faves? We all know that hijabis love maxi skirts as a go to wardrobe staple. But did you know that maxi skirts can transition well for fall weather? Just make sure to pick a maxi skirt in a nice deep color and pick one up with pleats so it falls in line with the pleated skirt trend. I pair mine with knee length riding boots and shorter tunic paired with a cool vest. 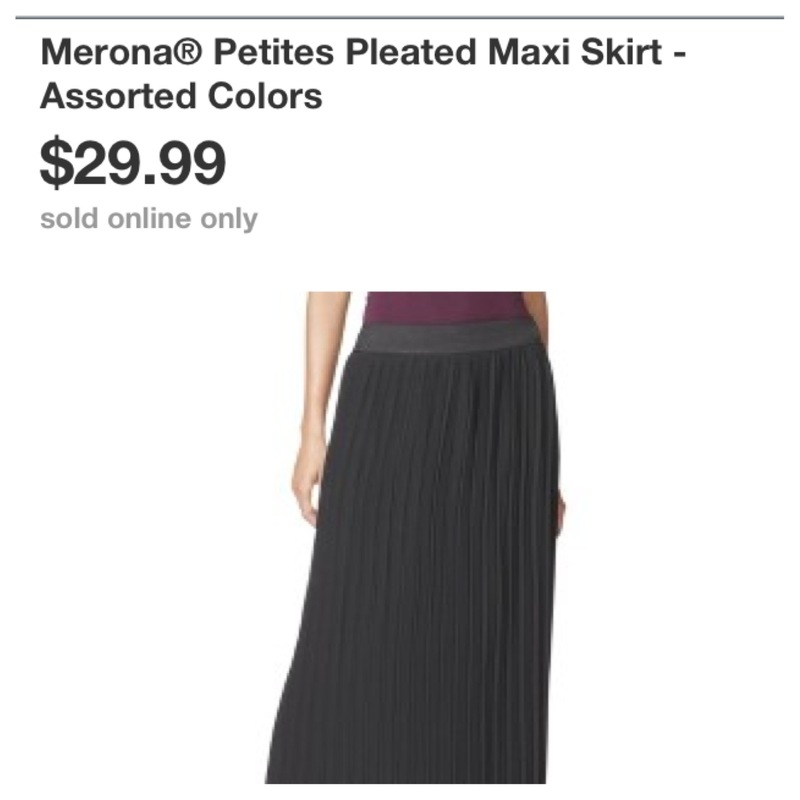 I love this particular maxi skirt find because it’s lined, long, and who can beat this price? It’s also perfect for petite hijabis who can’t always find long skirts that suit their small frames. Let me know what you think of this hijabi fashion find. 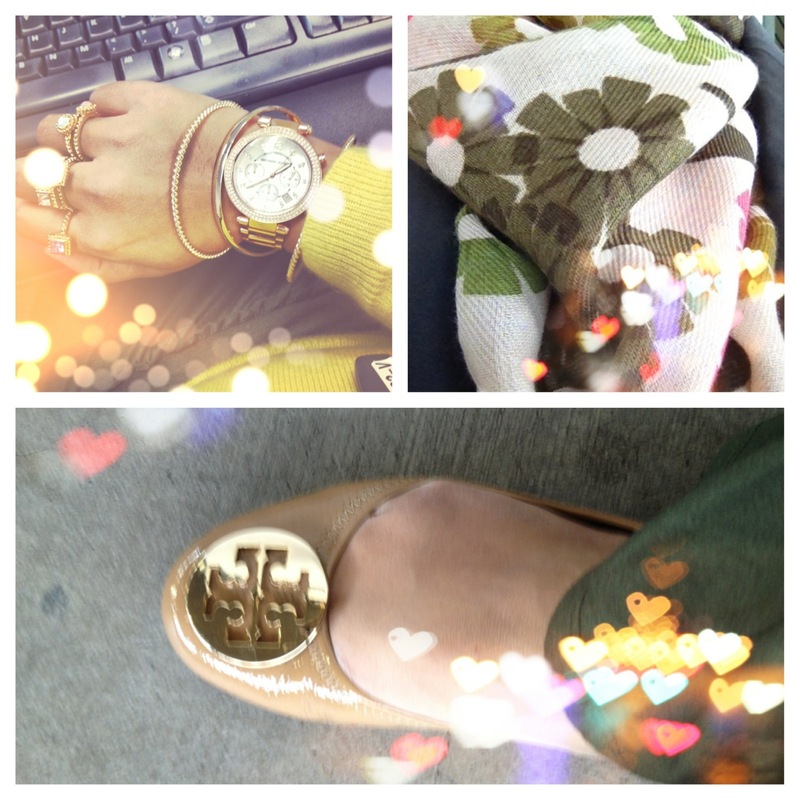 Stay tuned for more exciting fall beauty and fashion posts. I know a lot of hijabis in the Bay area adore the pashmina hijab look, but I felt like changing up my hijab style to be a little different this fall. My dear friend from Kashmir gave me some very beautiful patterned silk hijabs that I have never had the nerve to wear. That all changed once I noticed the Turkish hijab style on my friends’ Pinterest boards! First, wearing the Turkish hijab style is a lot more polished. No more messy folds! Second, it is super easy to pull off if you are a busy Muslim mom on the go. Trust me, I had to wake up 3:30 this morning to catch a 6:00 am flight! Putting this hijab style on took no more than 5 minutes. And finally, if you have a fuller face, this hijab style helps slim you overall. What woman does not LOVE that? What is your take on the Turkish hijab style? 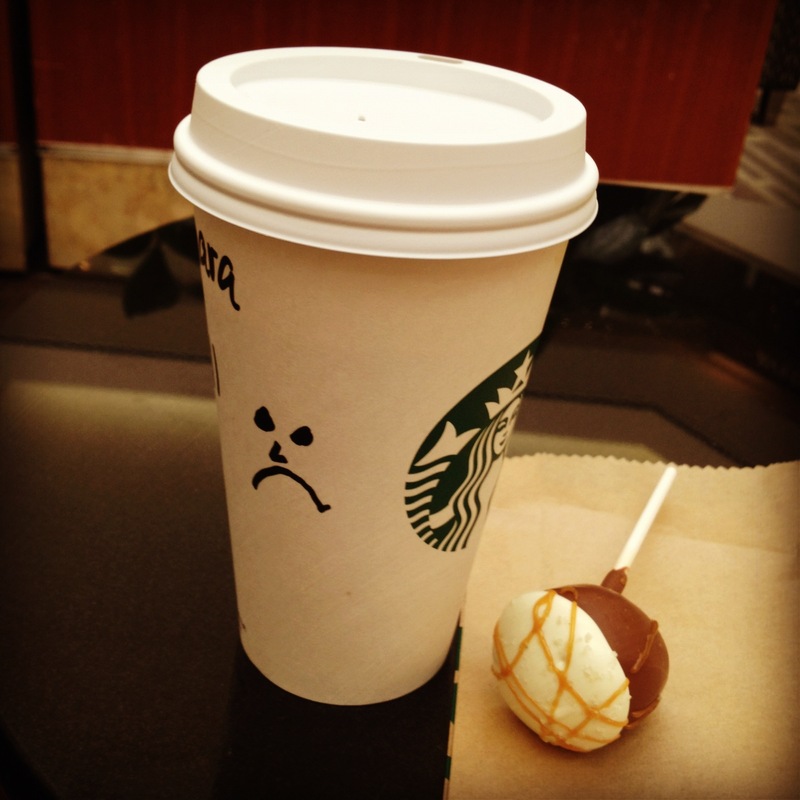 You know it’s bad when the barista at Starbucks runs out of Tall cups and needs to put your Tall order in another size cup and literally almost reads your mind and puts a sad face on the cup. We have all had them: bad days. Or as Holly Golightly calls them: the reds. I am currently having one at the moment and it seems like everything that can go wrong, is going wrong. Today feels like one of those days where I should have stayed in bed. I am having a crazy bad hijab day, work is crazed, items I shipped eons ago still have not gone through, got a ton of rejections for personal projects, etc. But, I remember that things went a lot worse for most people in the world. Look, the fact I can buy Starbucks or even have food for the day is incredibly lucky. In fact, I need to stop being so sorry for myself and feel blessed that I have so much. While having a bad day happens to all of us, it’s how you react to that bad day that matters most. And I will make sure to be more grateful on my better days. And turning to Allah (swt) always helps me too: Allah (God) says: “Take one step towards me, I will take ten steps towards you. Walk towards me, I will run towards you.” Hadith Qudsi. Perhaps today is the push I needed to take one more step. Until then, I will just weather out the day and be grateful for the little blessings in my life. 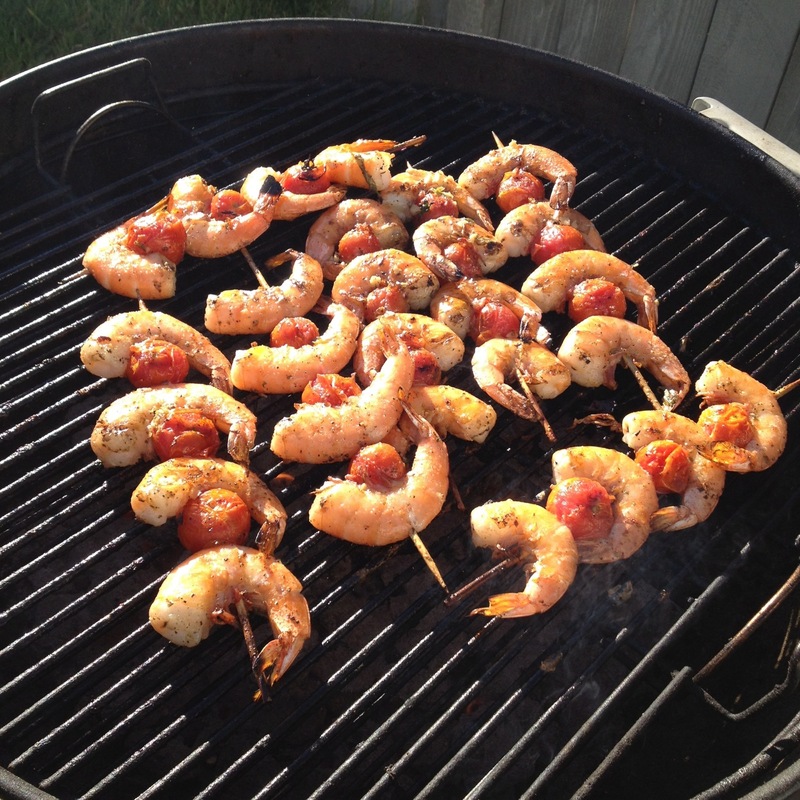 The jumbo shrimp skewers at my girl Fay’s birthday BBQ. I know I wrote about the power of friends in an earlier blog post, but given the fact that women need a support system more now than ever, I wanted to discuss it more in depth. When you go through a loss in this world, a woman may get some solace and support from her husband, father or brother, but more often than not, the support that keeps her going is her mother, sister, and friends. This is why a lot of Hadith that discusses brotherhood should apply to sisters as well. When you need a sympathetic ear, who do you turn to besides Allah (swt)? For me, it’s my mother, sister, mother in law, and friends. In fact, I feel like Allah (swt) answers some of my most desperate prayers by compelling my girlfriends to call me when I need it most. For example, when I was pregnant, I was so far away from my mom but I feel like Allah (swt) brought an angel in the form of my girl Sarah. My friend Sarah was there to hold my hand in labor and called a nurse when I wanted that epidural. When I first moved to SF, my girl Fay introduced me to all my good friends here mA. She threw my baby shower and listened to me whenever I got home sick. My girl Sandra always listens to my crazy ideas and encourages me to listen to my heart especially when it comes to Islam. My girl Farah has been my bestie since I was 13. She introduced me to Sunday school and kept me straight in the deen in my formative years. I feel like our souls must have met before we even met in this world because she knows me so well Alh. Each one of these remarkable ladies reminds me how lucky the Prophet (saws) was to have his own group of close friends. I mean who else is going to hide in a cave with you when there are assassins chasing you? If you look at the life of the Prophet (saws), you will always find examples that are relevant in your own life. For me, I am just grateful I got to share good food and good company today. Make sure you thank your own support system today.